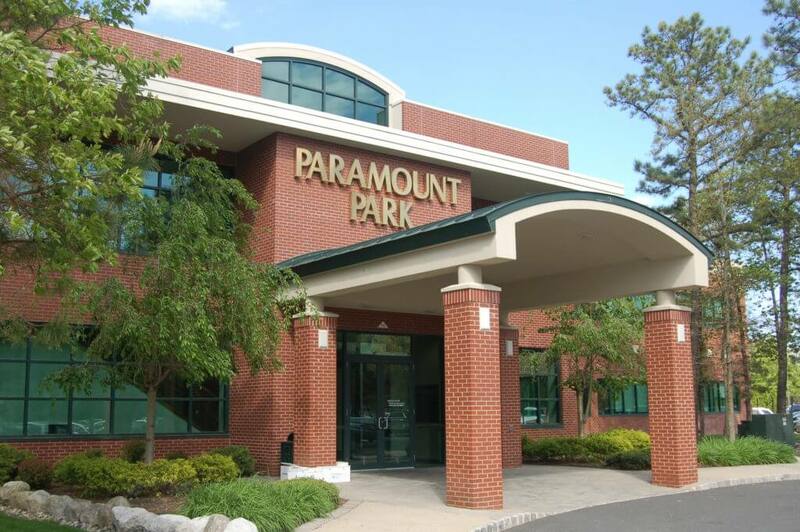 Paramount Park is a two-story office building in Lakewood, New Jersey. A key request of the client was to preserve as many trees on this expansive wooded site as possible. By strategically locating the structure on the site, S+T was able to achieve this objective with the loss of just a few trees. 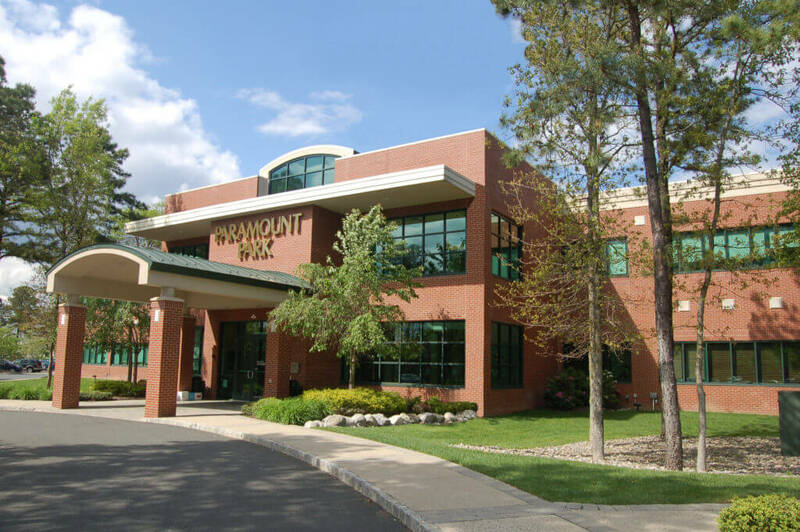 Designed to accommodate a flexible division of tenant spaces, the 44,000-square-foot office building meets the needs of a range of tenants, including an orthopedic surgery center. 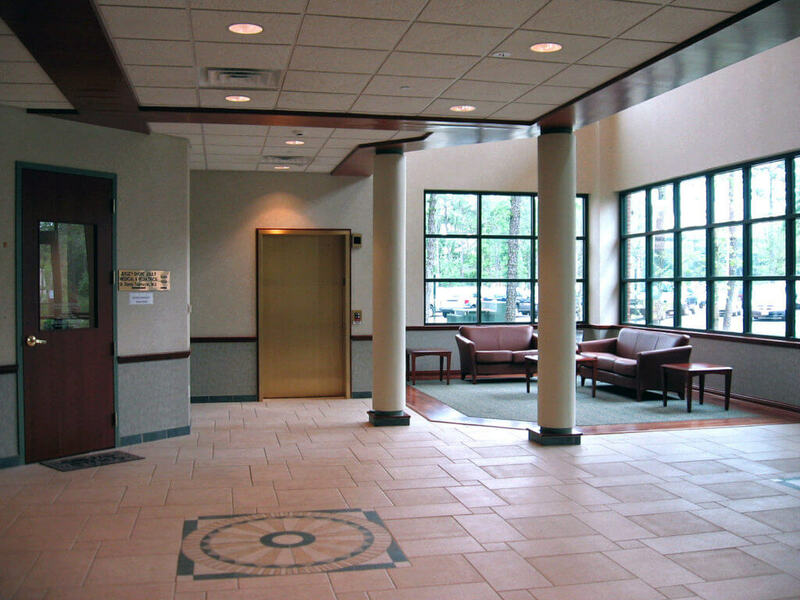 Additionally, one main entrance and three smaller entrances offer easy accessibility for tenants and their guests – particularly the patients of the surgery center. 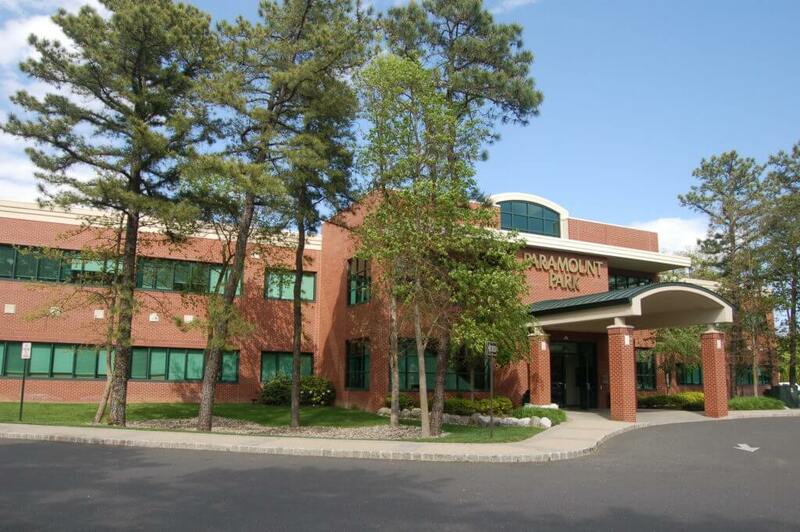 Green aluminum windows complement the red earth tones of the brick exterior. 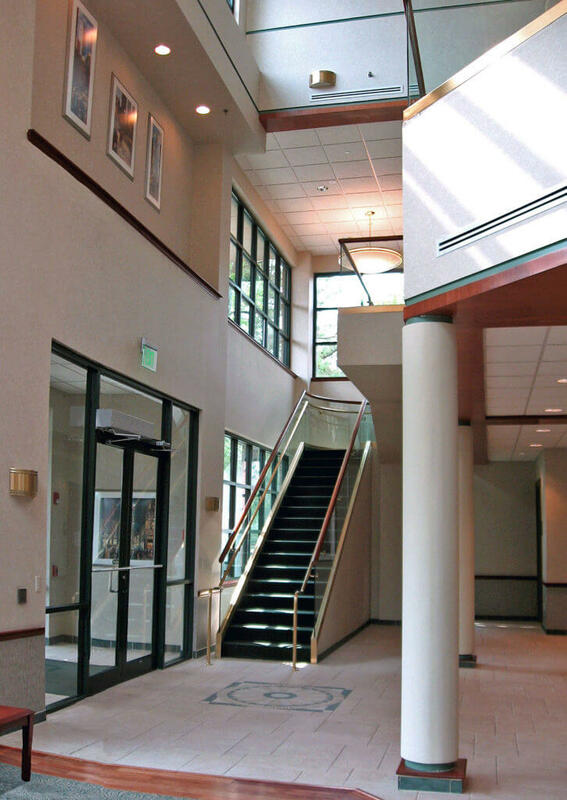 Inside, a two-story lobby with an open staircase and glass guardrails, marble flooring, and wood accents come together to create a sophisticated feel. 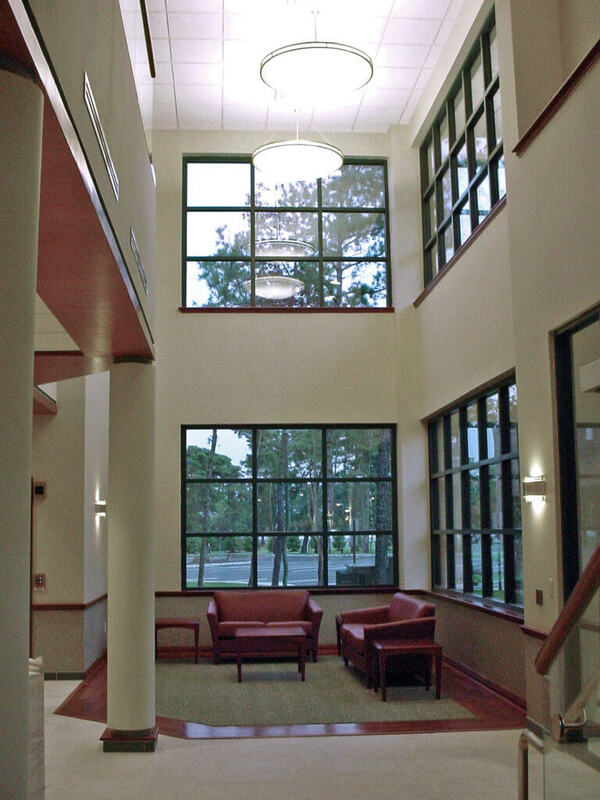 In an effort to bring the outside in, a wall of glass provides a 180-degree view of the wooded site beyond. On this project, Sonnenfeld + Trocchia showcased its expertise in a design-build project. 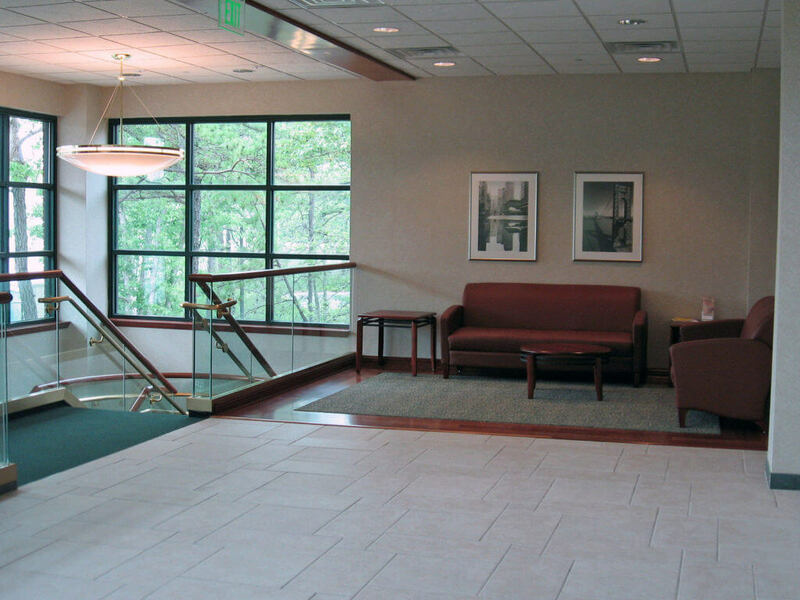 By teaming up with our partner company, Kofield Construction, the entire process was efficient and streamlined from planning through construction.